Exquisite favour bags with a distinctive design inspired by old love letters. 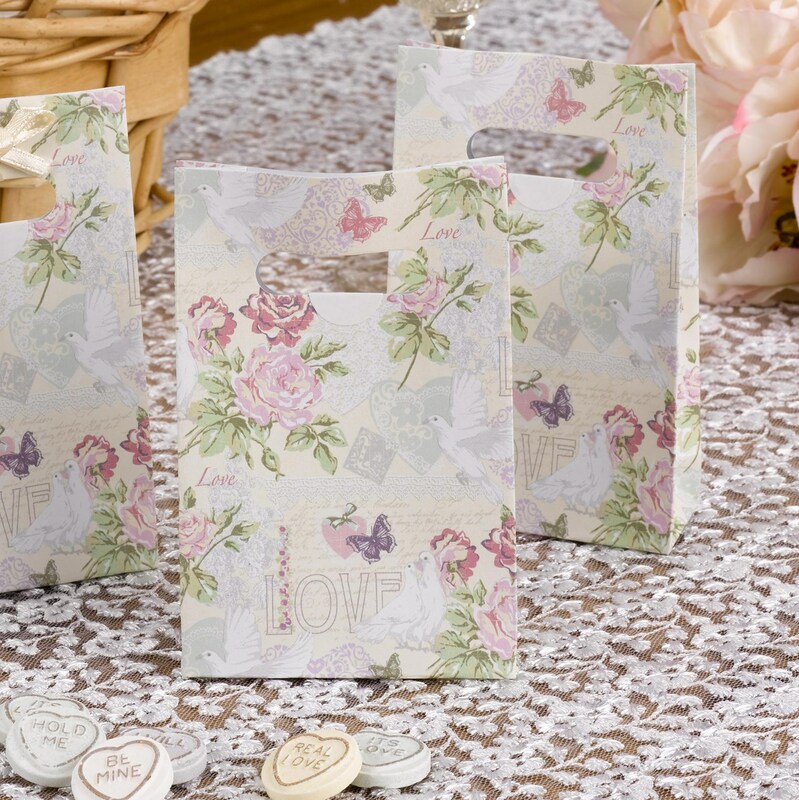 Part of the "With Love" wedding range, these bags make a thoughtful gift to offer your guests and can be filled with a variety of small treats and gifts. Supplied with ivory stickers to secure, the bags feature beautiful illustrations of motifs that are synonymous with romance – delicate love hearts, fluttering butterflies, tranquil doves and bouquets of fragrant flowers. Filled with sugared almonds, chocolate dragees or other sweet treats, these favour bags provide a lovely way to say "thank you" to your guests.